American-born economist Thomas Sowell is a man of great academic standing. He is a well-learned scholar and has authored several books in the course of his career. He has also served as a college professor for many years. As a nationally syndicated columnist, he influenced cultural conversations across the United States for 25 years. Sowell’s immense contributions to economics, political science and history earned him a National Humanities Medal including several other honours. He is a self-described libertarian though he disagrees with the libertarianism movement on a number of issues. On a personal level, Sowell is known to be very passionate about photography, a hobby which he acquired as a teenager and continues to pursue till date. Thomas Sowell was born on the 30th of June 1930 in Gastonia, North Carolina. His mother worked as a domestic worker and he had 4 older siblings from her own side of the family. His father died shortly before his birth and consequently, he was adopted by a great-aunt who raised him with the help of her daughters. At age 9, his family relocated to Harlem, New York where he spent the greater part of his childhood and teenage years. He attended Stuyvesant High School in Manhattan but was forced to quit school at age 17 owing to financial constraints. Afterward, he worked as a salesperson, a delivery man and also as a photographer. In 1951, 21-year old Sowell got enlisted with the military and he was assigned to serve with the United States Marine Corps during the Korean War. After his discharge from the force, he got a white-collar job in Washington D.C. and also began attending night classes at Howard University. Owing to his high scores in college board exams coupled with the recommendation of two of his professors, Sowell got admitted into Harvard University to study economics. He graduated in 1958 and went on to pursue his Master’s degree at Columbia University. Sowell bagged his Ph.D. in 1968 from the University of Chicago where he studied under future Nobel-laureate George Stigler. Thomas Sowell served as an assistant professor of economics at Cornell University between 1965 and 1969. He has also taught economics at several other colleges including Howard University, Rutgers University, Brandeis University, Amherst College and the University of California, Los Angeles. Back in 1980, he became a fellow of the Hoover Institution on War, Revolution and Peace at Stanford University. He has authored several books and he is also a syndicated columnist. His writings are based mainly on economics with the inclusion of history, ethnicity and social policy. He has often been lauded for the originality, great depth, clarity of expression and thoroughness of research in many of his writings. One of Sowell’s most notable publications Knowledge and Decisions won the 1980 Law and Economics Centre Prize. He had a nationally syndicated column which was distributed by Creators Syndicate and published on Forbes magazine, as well as major newspapers like The Wall Street Journal, The Washington Times, The New York Post and also on digital media outlets. He retired from writing this popular column in December 2016 having written it for two decades and a half. 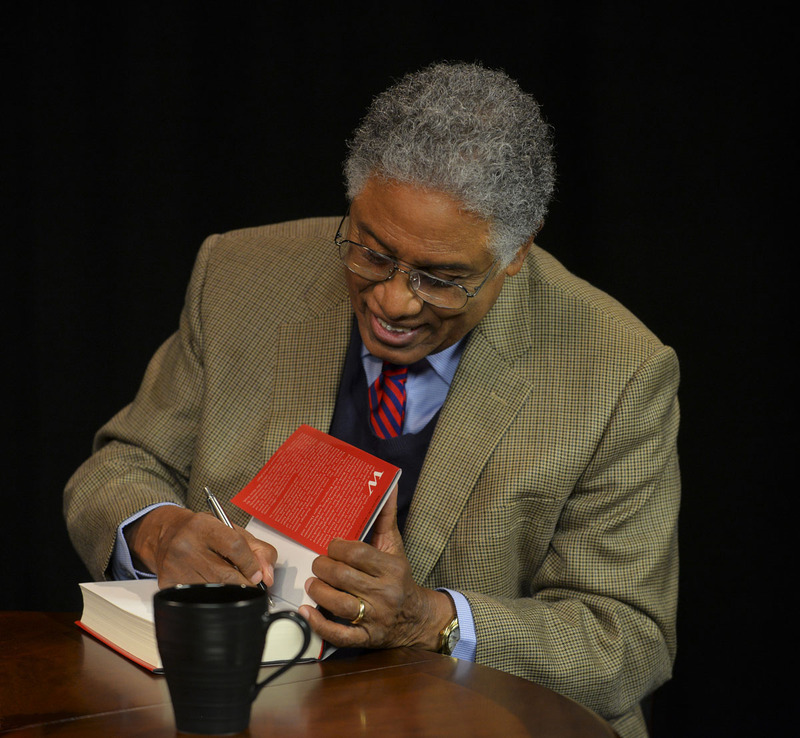 Thomas Sowell has received several honors in the course of his long-running career. In 1980, he received the Francis Boyer Award of the American Enterprise Institute for Public Policy Research. He was honored with the Sydney Hook Award of the National Association of Scholars in 1998. In 2002, Sowell received the National Humanities Medal from US President Goerge Bush for prolific scholarship in combining history, economics, and political science. He received the Bradley Prize for intellectual achievement in 2003 and the following year, he received the Lysander Spooner Award of the online booksellers Laissez Faire Books (LFB) for his book Applied Economics: Thinking Beyond Stage One. Thomas Sowell and his wife Mary M. Ash have been married since 1981. Though there is not much information in the media circles about her, she is known to be an attorney. Prior to the above-stated marital union, Sowell was married to Alma Jean Parr. Their marriage lasted for about 11 years between 1964 and 1975. He has two children; a son, and a daughter. Sowell is known to have had a successful career as a writer, a college professor, and other profitable business ventures. He is widely assumed to have a favorable financial standing following several decades of hard work and dedication to his career, however, his net worth is still not known as it is currently under review.